For me this started out with a bad feeling after reading the Conservative Party’s (Høyre) agenda, their campaign propaganda to get voters. I soon found a piece about abortion that took me by surprise. They wanted to propose a change in the current law, which in short would take control from women and give it over to the government. After much debate prior to the election, even the Conservative majority voted against their own proposal. Some said they did not recognise this as a party they would support if it were to take such a political turn. Others were disappointed by the defeat. One of the defeated and disappointed is now the new Prime Minister of Norway. 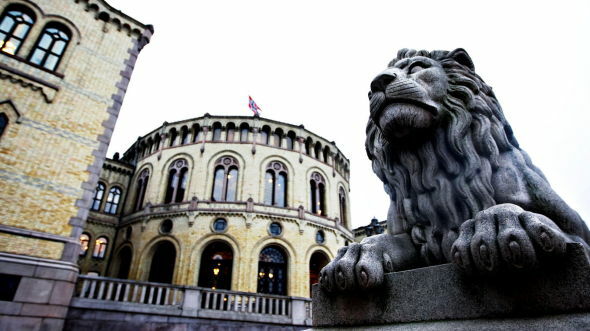 If you don’t know how this country is run, this sums it up: “Politics in Norway take place in the framework of a parliamentary representative democratic constitutional monarchy. Executive power is exercised by the King’s council, the cabinet, and led by the Prime Minister of Norway. Legislative power is vested in both the government and the Storting, elected within a multi-party system. The Judiciary is independent of the executive branch and the legislature” (Source: Wikipedia). The law today allows for women to terminate their pregnancies after week 12 if there is a possibility that the child may have a serious condition, due to genetic hereditary factors, disease, or damaging effects during the pregnancy. The Conservative proposal wants to remove this part from the law—completely. During the Conservative national convention, the people in the party, and the pressure from the women’s movement, resulted in a vote against the proposal. It was taken out of the program. The leader of the party, Erna Solberg, who´s now the new Prime Minister, told the press that the proposal to remove diseased foetuses as a basis for abortion rights alone had been the party politics for over ten years and that she did not understand the rhetoric of her angry fellow party members. That was a relief. People calmed down and licked their battle wounds. Then came a turn of events that some of us saw coming; others were too blind by false promises and golden geese to see it. Blame gets tossed around, Facebook groups with support for female rights are founded, so-called “pro life” people dangle pictures of Photoshop-shrunken babies in palms to give the alien-figured lump of cells a face in order to scare out some pity or remorse. 2013 was the year of the election. After eight years under the Norwegian Labour Party in coalition with the Socialist Left Party and the Liberal Party, people were pushing for change. They might get more than they ever dreamed of. I´m going to be rude and state that the average voter in 2013 probably read, if any, one single party program prior to the election. This would most likely have been the one they either had followed for years, just to make sure nothing had changed, or one at the opposite end of the ruling party at the time. People vote more with their hearts than their brains. Proofs of this is the politician’s use of “matters of the heart”. A special cause is chosen, or even a few causes for each party. These give the people something easy to focus on. Whether it’s oil drilling in beautiful Lofoten, tax relief, promises to fix schools or to remove toll road stations or even something as mundane as the possibility of being able to shop online for more than 200 NOK without being hit with an enormous amount of tax and vat. The whole ordeal reminds me of “bread and circus” from the Colosseum of Rome in its prime. “You may starve and roar against the rulers but look here; watch these men kill each other in a spectacle of tigers, sand and swords…” Okay, I might be exaggerating slightly, but you get the point. “Matters of the heart”, although they rarely have anything to do with the daily politics of the country, can tip the election one way or the other. The bigger the cause and the more outrage it creates, the bigger the divide amongst the nation’s people. We were looking at two highly likely outcomes of the election: a majority rule with the Conservative Party, or a minority rule where the Conservatives were dependent on other parties to get the majority they need in the Storting. The latter ended up being the reality. This required the major parties to sit down and negotiate, to try to get a collaboration between them to reach their goals. And to see whether or not they could form a majority government. They did not reach an agreement that led to majority, but they did form a minority government with the Conservatives and the Progress Party (I wish I could explain how ironic that name is), with certain guaranties from the Christian Democratic Party and the Liberal Party. This all happened behind closed doors. This was essentially a concealed chess game, where the sacrificial pawns were simply tossed from side to side to see who could keep the most pieces at the end. It quickly came to the attention of the public press that one case would rattle the people’s cage more than others. Abortion. This was the Christian Democratic Party´s tower piece, their way to get what they wanted if they were to support the government to ensure them a majority vote in some cases. They want to give medical doctors the right to not refer women to abortion on the basis of it being against their “morality”. Primary care physicians should be allowed to refuse referral and treatment when serious conscience conflicts are linked to life and death, primarily abortion. Active euthanasia will also be covered should this be allowed. Prescribing or inserting contraception or referral for assisted reproduction, however, are not included. GPs who reserve this right must have entered into a written agreement with a colleague who agrees to accept the affected patients. The GP should also inform the affected patients that they can apply directly to the hospital without referral from a general practitioner. Those on the GP’s patient list should be able to switch to a GP who does not have reservations, unless this is considered one of the two shifts the rules can carry per calendar year. Before a municipality enters into an agreement with a health care provider with reservations, it must ensure that there are other GPs nearby with open lists. The GP should inform everyone on their list of the Reservation Agreement immediately after the Agreement is signed. The municipality must ensure that all citizens receive information about the doctors who at any time have opted out so that citizens are aware of it when selecting a GP. Without going into detail as to why this is simply wrong and outrageous, I have to point out the fact that this will cause serious problems for women, the nation’s secular standards and the trust we may have in the people chosen to lead this country. The nation roared, but like a kitten compared to the political statements coming from the lions of the elected parties. The cocktail of “matters of the heart” and secret personal desires of politicians aiming to mask them in political play turned into “them” versus “the rational, secular, intelligent and desperate”. This is not something you choose to support overnight. The signs were there all along. From the beginning, the Conservatives said they intended to change the abortion laws. Why the surprise? Were the other parties too busy fighting for votes and money that they forgot to fight for something that should be considered a basic human right? If the Conservatives piss off the small parties, in this case the Christian Democratic Party, they may turn on them and vote against them in bigger cases—but if the government push comes through, there might be a vote of no confidence, in which case the government quits before the voting or the Regjering gets fired. They have already stated that this matter is “not up for discussion” to the press. The papers were signed behind closed doors—behind the people’s backs. Even though the vast majority of the people were and are against it. But now they are claiming that it’s up to the people in parliament to vote for themselves, that the party leaders will not pressure them, and that it will be up to each municipality to decide for themselves whether or not their doctors get to deny women referrals to abortions. Oh, and that it’s not really a right to say no but a right to want to say no despite what they say? What the h…? Lately the press coverage of this has died down a little. At the same time certain politicians’ popularity has plummeted. We now have what seems to be a snowball’s chance in hell to come out of this with a step forwards instead of a giant leap into the dark ages. The proposal has gone from being depicted as the full-blown, almost biblical smack to the face that it is to a white collar slap on the wrist with a dash of “if you please” on the side. But the nations fate, on this matter, is still unsertain. On the positive side the people of this country have now seen what their so-called elected representatives are capable of. They will go against doctors, their own people, unions, women’s rights, the democracy, and the bleeding majority to get what they want.